WHY DO PEOPLE PLAY FOR Real MONEY? It seems easy to understand why people play for money. A trademarked lottery slogan says, “Hey, you never know.” A winner will come forward. Trying to understand why hundreds of millions of people play betting games they might never win, requires you to put away logic and consider betting through a different set of ideas. Everyone knows the odds of winning the jackpot are low, but playing for money is a game where reason and logic are obsolete. 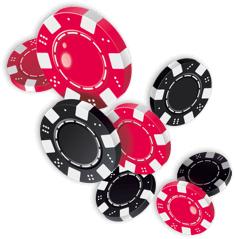 Betting and playing for money, online casinos, and online slots are all developed on the principle of hopes and dreams. If you have ever walked into a casino you will see many different personalities of people sitting at the slot machines, working the tables or playing keno. This is their form of escapism and it can be addicting. Betting stimulates the senses and provides a feeling of maybe you will “beat the odds” this time. Betting is “taking a risk in order to gain some advantage.” People love to go to casinos as a way to have fun, to win money, or to find excitement and a challenge. Betting is a way to take a chance in life. Theories exist on why people bet for money and it is not all negative. Arguments abound that playing for money is a harmless diversion, it is a way to escape from reality for a few hours, and a path to build a potential dream – winning enough to make life comfortable. Psychologists claim that those who play for money do so for a way to deal with the pressures of life. Not to be so serious, but if you were to interview people in a casino they would simply say, betting for money is fun. “My dad plays for money. He takes his $10, enters a game and sometimes doubles his win.” This is the reason people play for money. For the chance to double their money. Social scientists say that betting for money has a class designation. People of every class play games of chance. 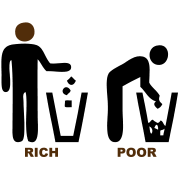 Depending on the type of game of chance you are playing, it can indicate on your social class. But these studies and designations tend to get quite stereotypical. One stereotype is people from “high society” will play poker in swanky casinos while sipping martinis from crystal glasses. If you’ve been in a casino, and looked at the poker tables, you know this is quite removed from the truth. Another stereotype claims that middle class folks will drink beer or coke from bottles while they pull the handle of a slot machine. However, in reality, there is no class distinction. You can see folks from all walks of life who love to take a night and just whittle the time away while playing nickel machines.